Decision Making: Like many other researchers we are trying to understand the role of protected or moral values and decision making as well as the role of emotions in decision making. More broadly we are interested in how meaning making affects decision making. As always, the role of culture in cognition remains an important theme. Culture and STEM: We are working with the American Indian Science and Engineering Society and the University of New Mexico (Janet Page-Reeves) on a study that will promote broadening Native American participation in STEM (Science, Technology, Engineering and Mathematics). Our research investigates how some American Indians and Alaska Natives use personal and cultural assets to support the relation between Indigenous culture (Native science) and Western science as they achieve success in STEM. In particular we are exploring how the notion of “gifts” and “pathways” reflect cultural values and orientations towards capabilities. Culture and Nature: At the broadest level we are interested in how conceptions of nature and our relationships with nature affect how we act on it. Is nature most present when humans are absent or are humans part of nature? This research is a collaboration between the University of Washington (Megan Bang), the American Indian Center of Chicago, and Northwestern University. We are studying the role of culture as it relates to knowledge and reasoning about the natural world in children and adults. With postdoc bethany ojalehto, we are also focusing on ecological cognition and complex systems thinking, including work with Sonya Sachdeva from US forestry on perceptions of ecosystems, including urban ecosystems. Our lab team’s interests are much broader than the above description. bethany ojalehto is pursuing these issues in Panama and extending them to conceptions of agency. Amanda Herrera explores sun, moon, earth conceptions and their relation to ecology in Ecuador. Kalonji Nzinga is exploring moral cognition associated with hip-hop engagement and Janene Cielto researches how African-American women’s hair texture affects social interactions. Natalie Gallagher is interested in social network cognition and how forms of identity may affect it. Alissa Baker-Oglesbee works as part of the culture and STEM research team but also on heritage language preservation and Native identity. Medin, D.L. & Bang, M. (2014). Who’s asking? 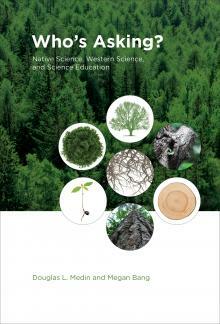 Native Science, Western Science and Science Education. Cambridge, MA: The MIT Press. Medin, D.L. (2017). Psychological science as a complex system: Report card. Perspectives on Psychological Science, 12(4) 669–674. Medin, D.L., ojalehto, b., Marin, A., & Bang, M. (2017). Systems of (non-)diversity. Nature Human Behaviour, 1, 0088.
ojalehto, b., Medin, D., & García, S. (2017). Grounding principles for inferring agency: Two cultural perspectives. Cognitive Psychology, 95, 50-78. Bender, A., Beller, S., & Medin, D. L.( 2017). Causal cognition and culture. In M. R. Waldmann (Ed. ), Oxford Handbook of Causal Reasoning. New York: Oxford University Press. Taverna, A., Medin, D.L., & Waxman, S.R. (2016). "Inhabitants of the earth": Reasoning about folkbiological concepts in Wichi children and adults. Early Education and Development, 27(8), 1109-1129. Bang, M., Marin, M., Medin, D. L., & Washinawatok, K. (2015). Learning by Observing, Pitching in, and Being in Relations in the Natural World. In M. Correa-Chávez, R. Mejía-Arauz, B. Rogoff (Eds. ), Children Learn by Observing and Contributing to Family and Community Endeavors: A Cultural Paradigm Vol 49 (pp. 303-313). ACDB, UK: Academic Press.